Mr. Toshiya Hamajima, ICHIBANYA CO., LTD.
Born in Aichi. He began the part-time job in the second grade at the high school at the coffee shop that became the reason why he intended to work of food business. From the first he hoped for independence, but he met the founder Mr. and Mrs. Munetsugu of “CoCo Ichibanya” after dropping out the technical school, and the life changed. 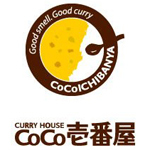 He led Ichibanya to success the first large store and was established the technique of such as the management. He promoted to a vice-president in 2000 and he took office as the president in 2002. The position continues up to today. The company policy is “smiling speedily briskly”. The mission is “to continue impressing people through management and to be required by in an area, the society”. At the present, he develops 1290 stores in domestic and oversea (as of the end of November, 2011). hello kojocho…. i am sri lanka my age 30 i am marred my family my mother my sister and husband.. i wont toke to you..my family wry purer famili..pl z help me..onagaishi masu !! !